When it comes to selling the most and getting the most for machine guns, Morphy Auctions, the successor after merger with James D. Julia is the leader in North America, and in fact since 2008 our total sales of machine guns have far out-performed any competitor. However, we still find that many gun collectors, or potential gun collectors, do not even realize that it is possible to legally own machine guns under Federal law. While there are some States that do prohibit or restrict private ownership of machine guns, most allow the ownership of machine guns as long as federal requirements are met. Machine guns are impressive. The earlier models, often made with copious amounts of brass, because this metal was easier to work than steel, are beautiful to behold, and make outstanding historical display pieces whether the owner intends to shoot them or not. For collectors of early 20th century American military firearms, adding the Browning Automatic Rifle, Colt 1895 “Potato Digger”, or the Browning 1917A1, 1919A4, or M2 .50 Caliber to their collections would enhance their collections significantly. Even for many firearm collectors, or would be collectors, who don’t necessarily specialize in machine guns, the iconic Thompson submachine gun, aka the Tommy Gun, is the ultimate “I wish I had one” gun. Classic machine guns are not only historic but also tremendously fun to shoot. I challenge any shooting enthusiast to try the B.A.R. or Thompson, and not crack a smile. But when embarking on the journey of buying that first machine gun there are some important things to consider. The most important thing is this: Know yourself and know what appeals to you. There are generally three categories kinds of machine gun purchaser/owners. The owner/shooter who wants effective, trouble free, automatic fire. This machine gun owner wants something which shoots readily available ammunition, usually mainstream with generally available spare parts. Usually these guns are relatively easy to master, strip, and clean as well. The historical machine gun collector/shooter. This person wants a gun which has some aspect of history attached to it. It might be an early machine gun like a Maxim, or it might be an AK-47 from the Korean or Viet Nam era, but whatever their preference, the gun will be more than just a bullet launching platform to them. The investor/shooter. This person wants a gun that they perceive will retain its value well or appreciate over time. The gun might be a classic, or it might be modern state of the art, but it will need to be one that the owner perceives as a good “investment”. Once you know which of the three above you are, then you need to seek advice from someone like me here at Morphys who has experience and strong knowledge of the machine gun collecting world, and can hopefully provide you with the opportunity to at least hold some different guns. At the very least we can advise you on the details and estimated value of the guns you are looking to acquire, as well as the federal registration and transfer requirements. We will also advise you for the need to be patient, as transfers can take months. Buying a machine gun is not for those who need instant gratification. But for those with the financial wherewithal to afford it, and the patience to undergo the federal background check process, the machine gun can provide many hours of enjoyment for the owner, family, and friends. Watch for our next newsletter which will include part 2 of this article, where I will discuss ….. – What specific models of machine gun are a good “First” or Entry Level machine gun for shooting enthusiasts? Morphy’s next Extraordinary Firearms Auction is scheduled for April 24-25, 2019 and will again include a fabulous collection of spectacular machine guns as well as a wide array other rare and important arms. 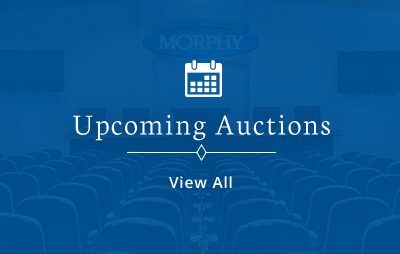 John Keene is a full-time staff member at Morphy Auctions. He is a firearms consultant who evaluates and catalogs specialty military firearms for auction, and has appeared in interviews with Ian McCollum on Forgotten Weapons.com – John specializes in Class 3 machine guns which are more than 50 years old. He also has significant expertise pertaining to machine guns from the 1960’s onward, as well as last century military firearms. Complementing this encyclopedic knowledge is his understanding of the complex rules and regulations associated with different machine gun statuses as defined by the Bureau of Alcohol, Tobacco and Firearms (BATF). As such, he is a huge asset to Class 3 buyers and sellers, able to facilitate and complete transfer forms properly as well as properly request updates and corrections to the all-important BATF National Firearms Act (Class 3) registry.